Continuing on with looking at some projects using soon-to-be-retired stamp sets...today, I'm sharing with you projects that I made using another one of my favorite stamp sets..."Simple Memories"
This card was created for last year's Crazy for Cards workshop and then recreated for Convention swap cards. The labor into making this card was low, but thanks to the beauty of the stamp set, the impact was high. Don't you think? 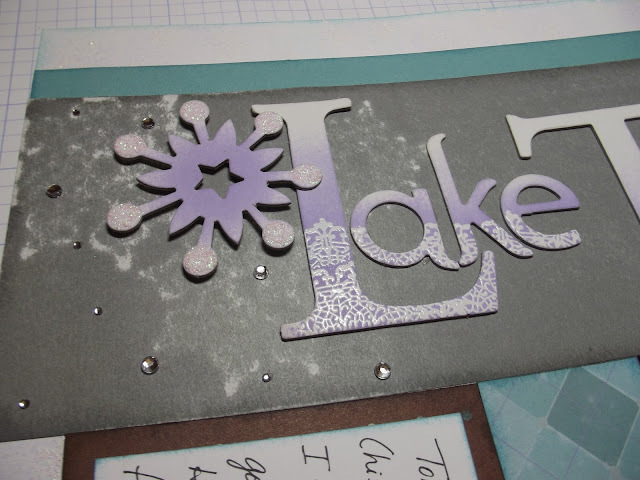 On a double page layout that I created last year for a Heart 2 Heart challenge, I used one of the doilies to emboss the dimensional elements to add some interest on the title. You can find more the post featuring this layout here. I created this card for a few blog challenges. Here's the blog post for this card. 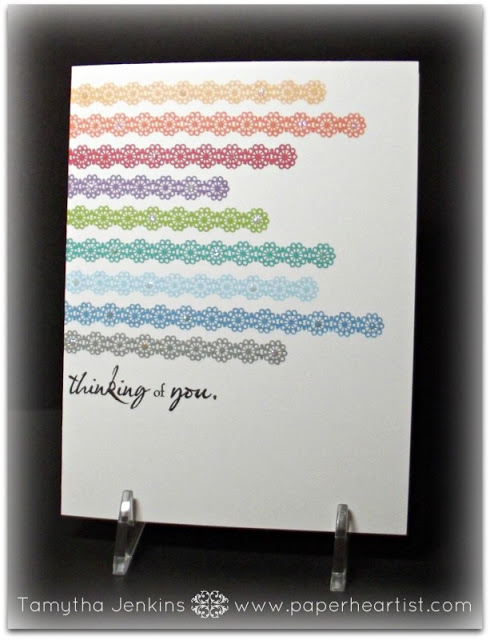 This card was a recreation of a previous card that I had made for my Crazy for Cards workshop. However, since I was making these to swap at last summer's CTMH convention, I used, what was at the time, a newer, current stamp set. The post about this card can be found here. 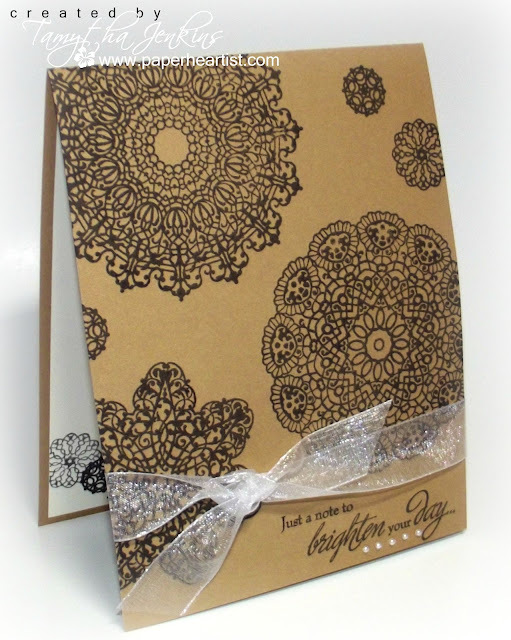 Love the black on Kraft, Tamytha! Love the kraft/black combo! Lovely examples showing Simple Memories versatility. Happy New Year to you!